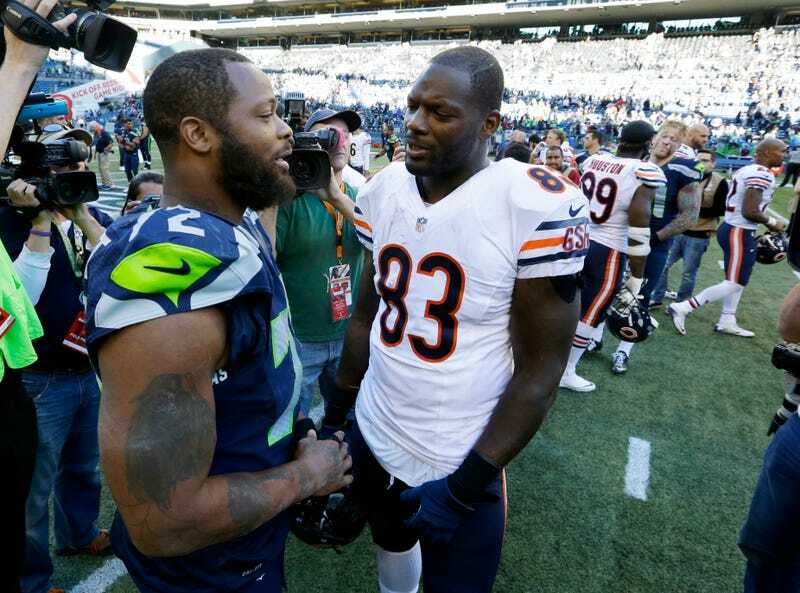 ESPN’s Mina Kimes has written a great profile of Michael and Martellus Bennett, the two brothers who consistently provide the best soundbites in the NFL. The whole story is an enjoyable read, but one highlight is the brothers issuing raw takes on other figures around the league. How do the brothers feel about Jay Cutler? “Worst quarterback in the NFL,” [Michael] says. “I’d be open and he’d throw into double coverage,” says Martellus, who spent the past three seasons as Cutler’s teammate in Chicago. The rest of Kimes’s profile—which features Martellus saying that “NFL” stands for “Niggers For Lease” while discussing the league’s lack of guaranteed contracts—is well worth your time and you should read it right away. Richard Sherman And Michael Bennett Savage The NCAA "Scam"